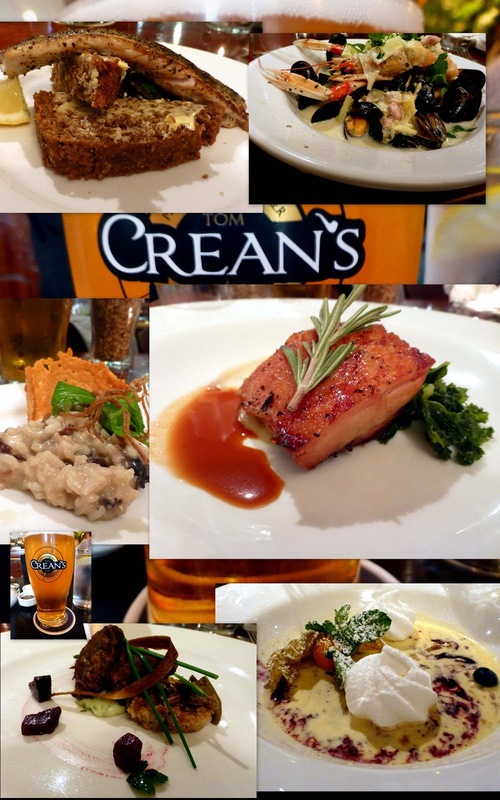 Saturday night, at 18.35, we sat down to enjoy the Tom Crean Fresh Lager multi-course dinner in Annie’s Gastro-Pub. Why 18.35? Annascaul man Crean took part in 3 of the 4 Antarctic Expeditions and during the Terra Nova Expedition he undertook a superhuman 18hr 35 mile solo trek to save the life of his two companions. 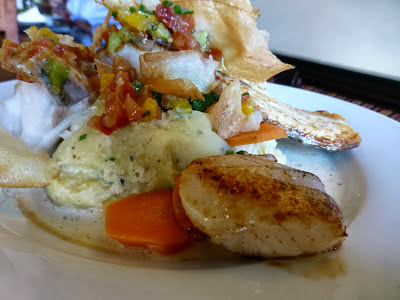 The meal was also quite a voyage of discovery but a very pleasant one indeed as the kitchen team at Annie’s came up with a string of class dishes, all incorporating the excellent lager made by the Dingle Brewing Company. The crew out front also did a marvellous job with only a couple of minutes between efficiently and courteously delivering a course to first and last client in the packed venue. It was the second night of the event and Friday went very well also. 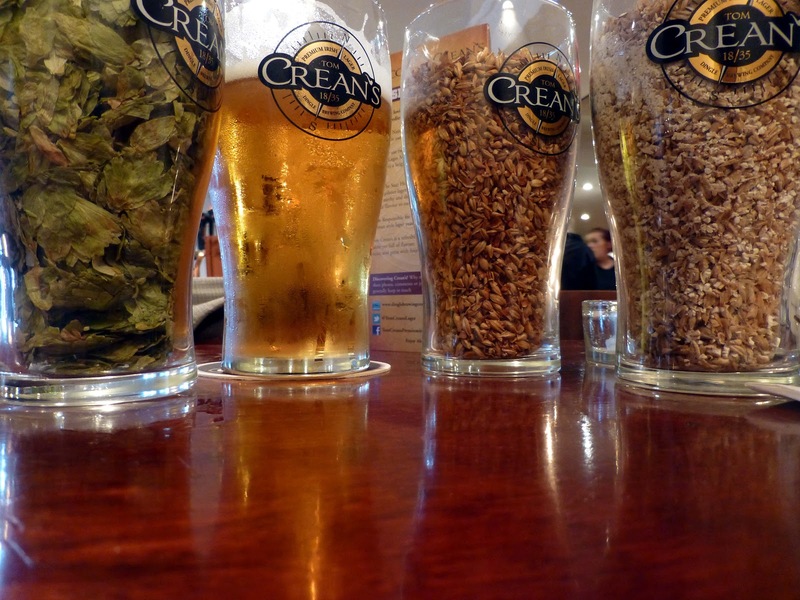 Crean’s can be described as a fresh, clean, refreshing golden lager with a slight sweet taste. The soft flavours, slightly sweet aftertaste and rich golden colour combine to give you a thoroughly enjoyable drinking experience. I’d be very happy to see it in my local. The brewers also boast that it goes well with food and that was well and truly confirmed in Annie’s. Started off with a pint and then came the first dish: Pan fried fillet of Mackerel on Crean's Brown Bread. 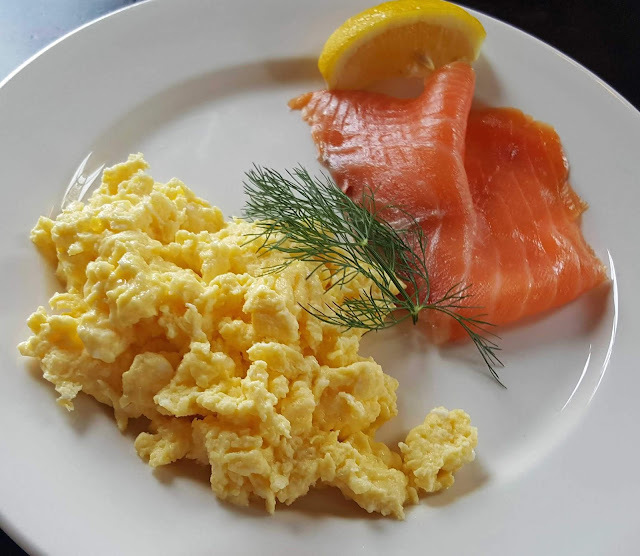 We were up and running with this brilliant tasty match. Then came the mussels and langoustines with smoked bacon and leeks in a Crean’s Broth. Creamy and delicious. And the standard remained very high as the Risotto was served, Wild Mushroom and Roast Chestnut with a Cream Thyme Reduction. We were being spoilt now for sure. For me, one of the best dishes of the evening followed: Crean’s Confit Roast Pork Belly, Parsnip Puree, Kale and Crean’s Jus. This was a brilliant combination of textures and flavours. And the inventive chefs weren’t finished yet. Up came another star plateful: Crean’s Braised Beef Cheek, Celeriac and Potato Rosti, Roast Beetroot and Chive Emulsion. So tender, so tasty. Then we had the sweet finish, their take on Ile Flotante with Chilled Blueberry Anglaise and Crean’s Hazelnut Caramel. Sweet and cool. A class finish to a class meal. And still time for some music and another pint of that fresh lager! 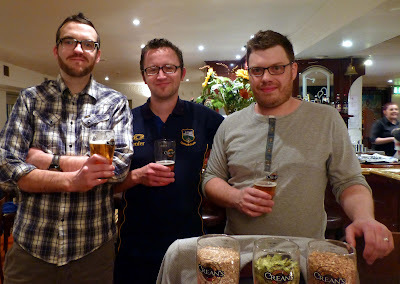 The chefs at Annie's enjoy some well deserved lager. They have a big blackboard in Annie’s Gastro-pub in Sunday’s Well. They need it. 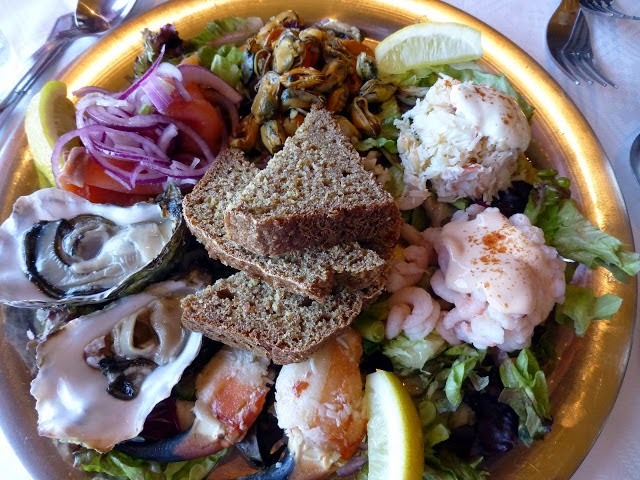 The menu, which changes daily and is drawn from Munster, the Midi and the Maghreb, is extensive, inviting and imaginative. But it takes time to take in all the dishes. There are about 12 each of starters, mains and dessert, plus close to ten red wines and ten whites sold by the glass or bottle. As it happened, our table overlooked the main blackboard but I would really prefer a typed, even photo-copied, menu at the table, just to linger a little longer in anticipation of the fruits of the work of Head Chef Zico Ali, who has a French-Moroccan background. The venue is on two levels, one slightly higher than the other, has an oval bar in the middle and is comfortable. Service is friendly, considerate and efficient. Chargrilled squid marinated in Lime and Chilli, served with Chargrilled vegetables and slow roast tomato €8.00. A very promising start indeed and a clean plate went back. The promise continued to be fulfilled in the mains: Pan Roast Snapper served with Celeriac and Fennell and a saffron sauce €22.00. The Snapper was done to perfection, the veg were perfectly tasty (not too hard, not too soft) and the sauce was probably one of the best I’ve ever come across. Fantastic stuff. The desserts are squeezed onto the board. I spotted the Blueberry Cheesecake and dispatched a generous slice with pleasure. Wine was Heart of Stone Sauvignon Blanc, Marlborough New Zealand, €5.50 a glass, €22.00 bottle, tangly and fresh and worth the money.